Protein is important for good health because it is used to create new cells and in the repair and maintenance of existing cells. It's especially important for young people. Protein is also used in enzyme production, which is necessary for digestion, fat storage, and metabolism. Chicken has a high-quality protein, but is relatively low in fat. Chicken fat is mainly unsaturated fat, which helps protect against heart disease. Doctors and nutritionists often recommend replacing red meats (pork and beef) with chicken. One hundred grams of roasted chicken breast contains 31 grams of protein and 185 calories, while roasted chicken leg has 27 grams and 191 calories. Roasted chicken wings have 30.4 grams of protein and 203 calories. Chicken is more versatile than fish, contains a better balance of amino acids than do plant proteins, and is lower in saturated fat. Chicken breast is the most desirable to eat as it has the most protein and the least calories. A three-and-a-half-ounce (100 grams) serving of cooked boneless, skinless breast contains less than four grams total fat and one gram of saturated fat, and is naturally low in sodium. A three-and-a-half-ounce serving of boneless, skinless chicken contains a mere 74 milligrams of sodium. Chicken is good hot or cold and works well in many quick recipes and international foods. It easily absorbs the flavors of spices and seasoning. Adults actually need less protein in their diets than was once believed. A sufficient amount is about 56 grams for men and 46 grams for women. Protein should not exceed 10–35 percent of your daily caloric intake. Learning how much protein in chicken can help you reach the required amount of protein. But there are other foods that can provide you with protein. One cup of cooked dried beans contains about 16 grams, and one cup of milk has 8 grams. There are 11 grams of protein in an 8-ounce yogurt container, and a 3-ounce serving of meat has about 21 grams. There may be over 50 grams of protein in an average 8-ounce piece of meat, which will easily put you over the optimal protein limit, especially for women and children. Preheat oven to 425º F. Toss potatoes with ½ T. olive oil and place in a single layer on a rimmed baking sheet. Roast 5 minutes. In a large bowl, toss kale with the garlic, ¼ t. salt, ½ T. olive oil, and pepper to taste. Add kale mix to the potatoes and mix. Roast until the potatoes are tender and the kale is crispy, stirring once, about 15-20 minutes. Meanwhile, slice chicken breasts horizontally in half to make four cutlets. Coat with ½ T. olive oil and sprinkle with salt and pepper. Grill on a preheated grill that has been brushed with olive oil until chicken is cooked through and well-marked, two to four minutes per side. Place on a plate. In a large bowl, toss the potatoes and kale with the salad greens, tomatoes, parmesan, lemon juice, salt and pepper. Place one slice of chicken on each of four plates and top with its juice. 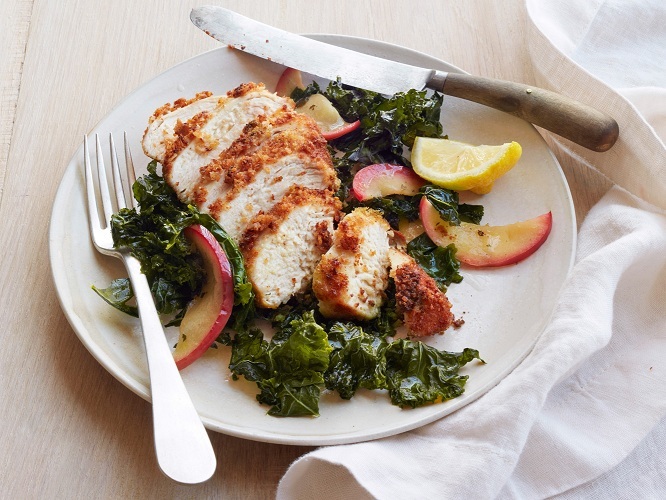 Serve with the kale and potato salad. Now you know how much protein in chicken can boost your protein intake, you may be curious about the protein in other foods. 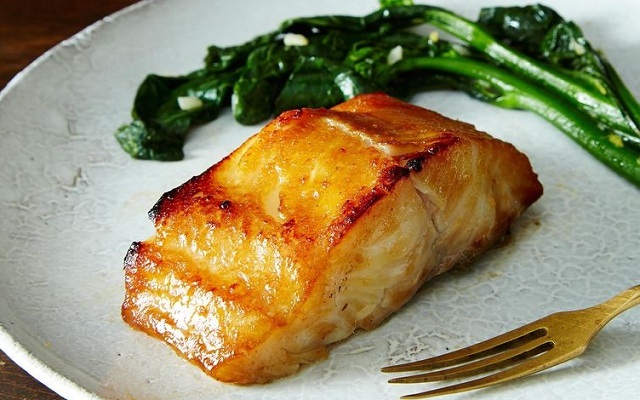 At 63 grams of protein per 100g serving, cod has just 0.5g of fat and 290 calories. However, it is high in sodium. A 300g serving provides the RDA of magnesium. Eat cod with broccoli to combine the cod's selenium with broccoli's sulforaphane to attack any cancer you may have. 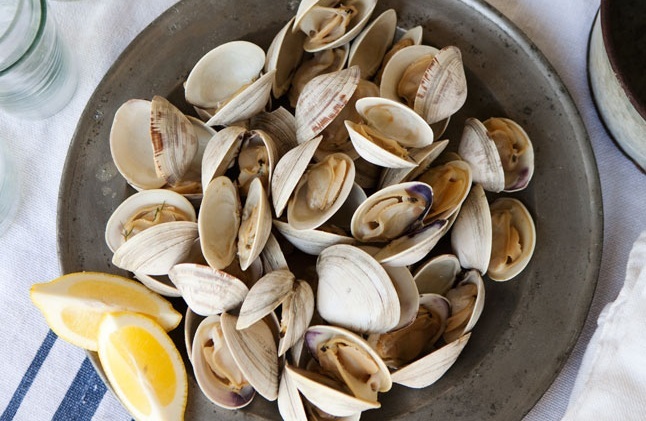 A 100g serving of clams provides 302 percent of the RDA of vitamin B12–important for a healthy nervous system, supplies energy, and metabolizes carbs, fats, and protein. They also supply 48g of protein and 128 percent of the RDA of selenium, an antioxidant. However, clams are high in cholesterol. Eat tomatoes with clams to aid in iron absorption. 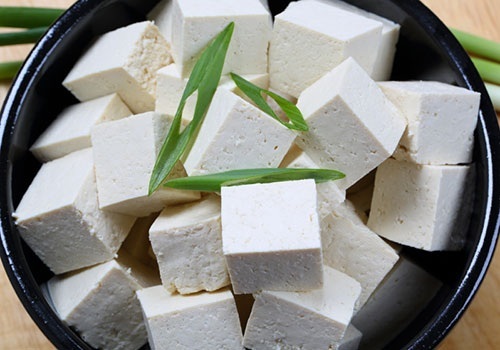 Tofu packs a protein punch with 48g per 100g serving, plus 7g of fiber. It contains 184 percent of the RDA of manganese, which strengthens bones, metabolizes carbs, cholesterol, and amino acids. Tofu hasn't much flavor of its own, but takes on the flavors of whatever you're adding it to. Add it to vegetable soup, and you'll get flavor without too much sodium. 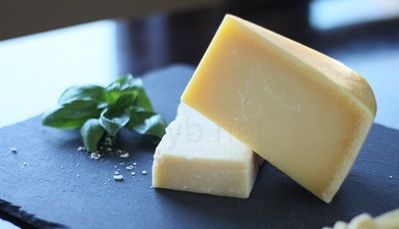 Through the aging process, much of Parmesan cheese's protein is pre-digested, so digests quickly. With 42g of protein in a 100g serving, you'll receive 138 percent of the RDA of calcium, 456 calories and 19g of saturated fat. Combining low flavored foods such as tofu with a high fat food like Parmesan cheese may aid in weight loss because you're eating healthier foods. Beef is a rich natural source of creatine, which is a strength booster. 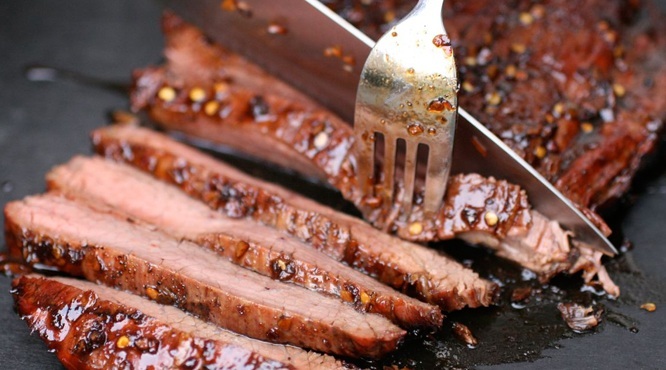 A 100g serving of lean beef provides 36g of protein along with 199 calories, but no fiber. Steak takes a long time to digest, so eat a salad with it to reduce your overall caloric intake. It will keep you feeling full until the next mealtime. 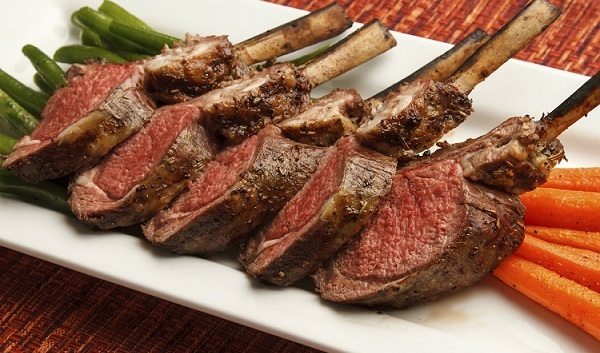 Lamb provides niacin and vitamin B12, zinc and selenium. It contains 36g of protein in a single serving, along with 279 calories, but no fiber and is high in saturated fat. Eat cruciferous vegetables like cabbage, broccoli, or cauliflower with lamb as they will help detoxify the carcinogenic compounds produced when the lamb is grilled or fried. 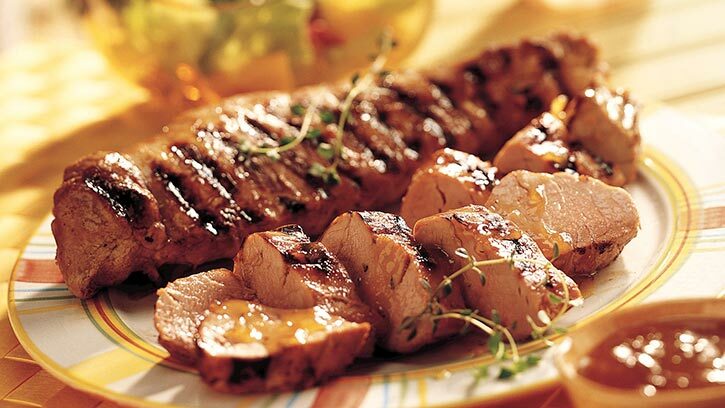 Two small pork fillets proved 32g of protein, the RDA of thiamine, zinc, and 248 calories. It also contains 38 percent of the daily cholesterol allowance. So go easy on it. Eat pork with pinto beans, as the beans will help offset the high cholesterol level.